One of the most frustrating aspects of reef keeping for aquarists is undoubtedly water chemistry. Aquarists without a formal education in the sciences may find the challenge to understand the relationship between calcium and alkalinity in reef aquariums formidable. Adequate and consistent levels of calcium and alkalinity not only insure continued growth of invertebrates, but also are required for their very survival and sustenance in the shadow of system stability at large. Saltwater chemistry is indeed a complex matter and there are admittedly numerous factors that can influence the tide and turn of various equations in balance. Nevertheless, none are so significant or challenging that fundamentally good husbandry with regular partial water changes and basic supplementation won't allow you to run a simple and successful aquarium without resorting to rocket science, an abacus and a crystal ball! 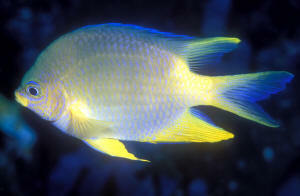 If you will indulge some generalizations about the dynamics of invertebrate growth (calcification and skeletogenesis), I can proffer a very simple explanation of the application of calcium and alkalinity that will spare you the need to earn a degree chemistry just to keep a healthy reef aquarium. The first thing that we need to recognize is that calcareous animals need adequate supplies of both calcium and alkalinity to grow. Corals, coralline algae, and shelled animals alike are comprised of more than just calcium… they are made of calcium carbonate. It is possible to also form skeletons with strontium and silica components, but most aquarists need only focus on the fact that skeletogenesis (skeletal growth) is essentially founded on the composition of both calcium and carbonate elements from the environment (water and/or food) by the process we call calcification. Calcium is easily learned and applied by most aquarists (simple dosing and test kits), but alkalinity is rather less clear. Some folks mistake "Alkalinity as a measure of the buffering ability of seawater" (expressed in degrees of hardness) with "Alkalinity as an expression of the pH scale" (in contrast to acidity). Alkalinity and pH, however, are distinctly different from each other, although their definitions and functions can be easily confused. For those of you as uninformed about water chemistry as I was when I first entered the hobby, know that Alkalinity is a measure of water's ability to neutralize acids and resist change with a reserve of "hard" minerals (pool of dissolved buffers). On the contrary, pH is a measurement of the concentration of hydrogen ions in water in terms of acidity or alkalinity. So, the alkalinity of water in terms of pH merely refers to the basic end of a pH scale (alkaline) in contrast to the acidic end of the scale. It is a separate matter, however, from Alkalinity as a measure of water hardness. There are several minerals that commonly contribute to the overall hardness of water, but calcium and magnesium are the primary elements. A higher measure of water hardness (Alkalinity) translates to a higher buffering ability, and subsequently a lower chance of a pH change in the system. Alkalinity can be measured as GH (total or General hardness) or KH (Carbonate hardness). I would recommend a carbonate hardness test kit as your primary measure of alkalinity. It is easy to believe that water with "alkaline" or basic pH is likely to be high in alkalinity (buffering capacity). However, this is not always true. Water with a high pH but a low alkalinity, albeit uncommon, is possible and regarded as unstable. Aerated RO water (purified by reverse osmosis) or DI water (demineralized by de-ionization) is commonly in this category. Such unbuffered water will quickly decline in pH with the natural accumulation of organic acids in the aquarium. Reef aquarists that are surprised to see a falling or depressed pH in their systems despite high calcium levels may have neglected to measure and maintain alkalinity. For most marine aquariums, calcium is recommended within a range of 350-450ppm. Alkalinity is recommended with a range of 8 to 12 dKH. Reef aquarists with very large populations of stony corals or with fast growth as a priority, however, may entertain levels somewhat higher. These are special circumstances that indeed have benefits, limitations and inherent dangers and require specific address beyond the scope of this article as a primer. Casual aquarists instead can rest comfortably within the outlined ranges and enjoy healthy corals and good growth of calcifying organisms in display. Ironically, within the recommended ranges of 350 and 450 ppm Ca (calcium) and 8-12 dKH Alk (alkalinity) it is not necessary to maintain both parameters at the higher end concurrently. In fact, it is not practical or easily attained in most systems. In gross terms, high calcium and high alkalinity are mutually exclusive. Alas, too many aquarists get caught up in the roller coaster application of excessive amounts of supplements (randomly applied or not) and skew the balance of Ca and Alk in the system. Maintaining stable and consistent levels should not be difficult at all. To illuminate this paradox I offer you a simple analogy with marbles. Fact: it is only possible to dissolve so many solids into a given volume of water (calcium, carbonates, and everything else). At the risk of oversimplifying the dynamic, imagine a bowl that holds one hundred marbles representing the total dissolved solids in seawater in a given system. If red marbles represented calcium, and blue marbles represented carbonates (alkalinity), the bowl can still only hold one hundred marbles no matter what mix of color they are. Now, if seventy marbles were the equivalent of 400-ppm calcium and the remaining marbles were blue, the only way to increase calcium would be to displace alkalinity (to remove blue marbles). In troubled systems, the misapplication of calcium supplements (dosing suddenly or to excess) is known to cause a sudden precipitation of carbonates (the alkalinity falls/crashes) that is commonly referred to as a "snowstorm". It is instigated by the influx of a large or rapid amount of calcium entering the system that spikes the pH immediately surrounding carbonate molecules and causes a crystalline precipitation (fallout). In keeping with our analogy, a "snowstorm" would be like taking another bowl of one hundred red marbles (calcium) and trying to pour it into the original bowl of mixed, colored marbles (balanced calcium and alkalinity). The result is the displacement of all blue marbles (carbonates/alkalinity) and the overflow of excess red marbles beyond the one hundred marble limit. The ramifications of this in an aquarium is a crash in water chemistry and water quality that cannot be corrected while the chemical reaction occurs. Dosing more supplements to try to correct the imbalance (or even doing a concurrent water change with hopes of dilution) will only serve to feed the chain reaction. Tragically, the "snowstorm" must be allowed to finish and an aquarium system is traumatized in the process. My ultimate advice for aquarists regarding supplementation here is to use kalkwasser (calcium hydroxide) in combination with a deep sand bed (fine aragonite) and/or a calcium reactor. These combinations are time-tested (20 years) and reliable with the most benefits and least trouble when properly applied. Dry Calcium (Calcium hydroxide: AKA "Kalkwasser"): In summation, one of the absolute best supplements to dose calcium in aquaria with a long list of benefits and few disadvantages. Easy to use, but easy to abuse. Follow dosing protocol strictly. A potent and direct method of providing calcium Caustic nature increases pH and indirectly supports Alkalinity by tempering acids that would otherwise burden the buffer pool is self-purifying by virtue of its highly caustic nature. Most impurities commonly found in the raw reagent precipitate out. Aids the neutralizing precipitation of nuisance phosphate in aquaria. This is a tremendous advantage over all other methods of dosing. Dosing at night tempers pH swings from inevitable drop from respiration by photosynthetic dynamics. Dosing by the commonly recommended supersaturated solutions is tedious and messy (instead, see "Slurry method" in the Book of Coral Propagation, Volume 1 for a tidy and succinct dosing method). Can be dangerous or stressful to system if misapplied. Liquid Calcium (Calcium Chloride): Perhaps the most commonly used and abused methods for dosing calcium. Not recommended for long-term use. Advantage: A potent and fast method for dosing Calcium without any impact on pH. Clean, easy and brief application. Very safe and not easily overdosed in the short-term. Disadvantage: Potentially dangerous accumulation of by-product Chloride ions can skew water chemistry and plague Ca/Alk balance with long-term use (1-2 years). Requires aquarist to conduct more frequent and larger water changes on the system to dilute and delay Chloride ion accumulation. A temporary calcium supplement only to be used for "quick fixes" of strayed Ca. Deep Sand Bed (Aragonite sand): Be sure to purchase media comprised of aragonite (oolitic) material and not calcite. Both calcite and aragonite are forms of calcium carbonate, but only aragonite will dissolve easily at the necessarily high pH of a healthy marine system. Grain size should be sugar fine at 10 cm or more depth. Courser grains require even greater sand bed depth and stronger water flow to succeed. Advantage: A very natural, significant and passive way of supporting both Calcium and Alkalinity through the dissolution of aragonite in balanced quantity. Long list of natural and organic benefits to elaborate for the scope of this summary. Distinguished by natural nitrate reduction with deep enough media (over 10cm), natural plankton encouraged and cultured in situ, reflects light back up to corals and plants thereby reducing or preventing bleaching undersides in captivity, etc. Very safe and not easily corrupted without gross negligence or misapplication of standard aquatic husbandry. In some systems it can singly support Ca and Alk without any other supplements. Disadvantage: Somewhat uncontrolled/unpredictable. Requires monitoring and supplementation. Falls prey easily to misapplication by ill-advised or misinformed aquarists. Lack of adequate water flow in the display or installation at an improper depth (less than 7 cm) can contribute to nutrient accumulation (AKA: "Nutrient sink") and algae. Calcium Reactor: After a long time, calcium rectors are finally gaining due recognition for their great worth and validity as a pivotal component in an optimal marine aquarium system. Advantage: A very potent method for dosing and maintaining Calcium and Alkalinity with superb consistency and reliability. The "ultimate" strategy for many aquarists. Low-maintenance in service, inexpensive operating cost, ideal once properly tuned. Disadvantage: Expensive and initially complicated hardware to install and tune. Performance is influenced by the quality and dissolution of reactor media. Impure media is not self-purifying (like Calcium hydroxide) by the process/application and can impart contaminants into the system. Gross misapplication can be dangerous or stressful to the system. Two-Part Liquid Supplements: a popular compromise for aquarists that find Calcium hydroxide ("kalkwasser") too tedious, but cannot afford a calcium reactor. A reasonably good supplement with regular water changes and water quality. Advantage: Very clean, easy and reliable to dose if application is followed strictly. Provides elements of calcium and alkalinity in balance. Disadvantage: Very strict application protocol. Must be shaken/mixed vigorously before every application as the components of the clear supplement stratify and separate (the product does not stay uniformly mixed in bottle)! Neglect otherwise can severely corrupt Ca/Alk balance and make a problem system even worse. Requires that a system be in balance BEFORE supplementation begins. Large water changes are necessary on problem systems (to restore balance) before two-part supplements can carry on the job of metering Ca and Alk. Baking Soda: The common culinary ingredient, sodium bicarbonate, is an often used and abused method of increasing the pH/alkalinity of an aquarium system. Unsupported, however, it is only temporarily effective and it is easily misapplied (spiking and stressing the system). Although it is the single largest component in commercial "seabuffers", it is not recommended for casual aquarists as a sole supplement when the safer and more effective options outlined above are available. Tri-buffers ("Seabuffers"): Although not a reliable source of calcium, commercial "seabuffers" are traditional vehicles for dosing and supporting adequate pH and alkalinity in the aquarium. Different brands have variations in their recipes, but most are fundamentally comprised of bicarbonate, carbonate and a little borate. Some embellished supplements may include calcium oxide, magnesium sulfate and other desirable ingredients. Categorically, they not unreasonably expensive to dose long term and they are fairly reliable. Aquarists using such supplements, however, will need to measure water quality as much or more than any strategy of supplementation. Calcium hydroxide ("kalkwasser") employed with a deep sand bed or a calcium reactor can often eliminate the need for the use of seabuffers. They are an effective, but tedious and time-consuming way to supplement pH/Alk. Organic Calcium (Calcium gluconate): This calcium supplement is an exception to the above warnings about the dangers of "Liquid calcium" products. Sugar-based calcium is an essentially safe source of calcium, but has not clearly demonstrated its efficacy for coral growth. It has, however, been shown to greatly accelerate the growth of desirable coralline algae species. As such, it is recommended as a supplement to a primary method for dosing calcium. In summary, and for the benefit of distracted speed-readers, maintain Calcium at levels between 350 and 450 ppm Ca, and alkalinity between 8-12 dKH without ever resting both concurrently at the highest end of their range. Calcium hydroxide ("kalkwasser") dosed properly in concert with a deep sand bed (10cm + sugar fine aragonite) or a calcium reactor will yield the most benefits when supplementing Calcium and Alkalinity. Leading you to the next open door for advanced reef chemistry, I also recommend keeping magnesium levels at approximately 3 times the Calcium level (~1200 ppm Mg). For those not inclined to complicate their hobby with advanced studies of the dynamics of seawater, rest assured that regular partial water changes will serve your system well to dilute and refresh water quality. In shared admiration of the sea… Anthony Calfo. Delbeek, J. Charles and Sprung, Julian. 1994. The Reef Aquarium: Volume I. Ricordea Publishing.